Identity is they key to being an artist but seems to be what most struggle to find. Simón sets himself apart by creating unique builds and sounds used throughout his production. His South American background also helped him develop and in introduce Cuban and Chilean influences in music, “Growing up, I was around a lot of salsa and afro Cuban music so it naturally finds its way into my production”. Simón’s much anticipated EP is due to be released on 14th December 2012 containing more kick than most can handle. In 2011 Suckmusic signed and released ‘Open your eyes’ giving him presence amongst Tech-house artists and making way to develop his upcoming EP ‘Work that’. 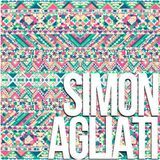 The feature track ‘Work that’ is a good example of what to expect from Simón in his future release…”2013 is looking to be really exciting”.